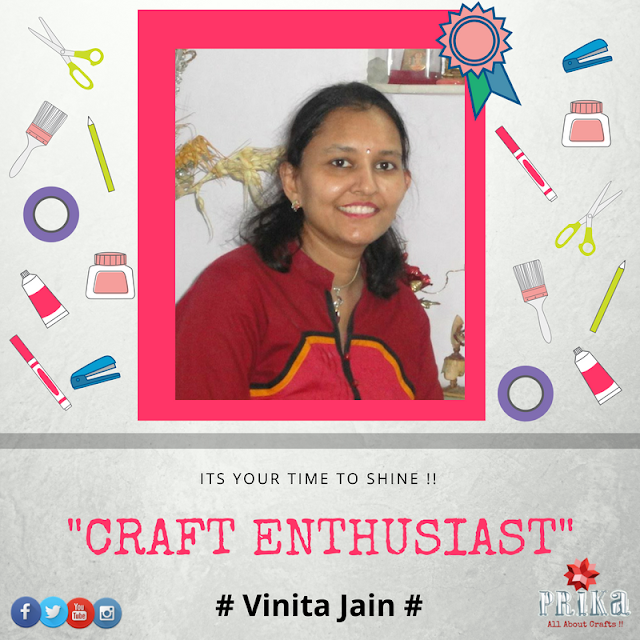 Tuesday seems to be an very exciting one for all of us, but its means a little more special to us since its the day we get to share a story of such amazing crafter who are so loved and also an inspiration to others…today we have with us Craft Enthusiast of the Week…..Vinita Jain” who is a real sweatheart and gem of person..creating wonderful things has always been inside her since childhood and to keep exploring her creativity more she took some expert diploma courses during her college days…..Let’s know more about her journey of being an craftprenuer, her passion, and some of her amazing projects she had worked upon. This is what Vinita speaks about her journey as a crafter and her story of being a craftpreneur…. First of all its such an honour to be a part of Prika- All About Crafts Blog, I am so excited! Thank u so much Priyanka for providing me such a big platform to showcase more about me and my talent! I am blessed. I am Vinita, a retired Kindergarten teacher. Since I was a kid, I loved to draw. Seeing my interest, my mother pushed me further to learn more. I used to make cards for my family and friends. During school days I took part in various art and craft competitions, decorating bulletin boards around school compound. During college days I learnt fabric painting, oil painting, clay modelling and flower making diploma courses from recognized institutions and all of these skills are really helpful now and make it easier to learn new things! When I started out as a nursery teacher, I had to use easy crafts and DIYs to teach children. Little by little, I grew more creative and new ideas came to me. After retirement, I used to find it difficult sitting idle with all the spare time on my hands. One day I was browsing the internet and came across card making challenges. It opened a new window of crafting world to me, not just at a national level but with crafters all over the world. I started making cards as a challenge to use up all of the decorative items and artsy collection I had at home. 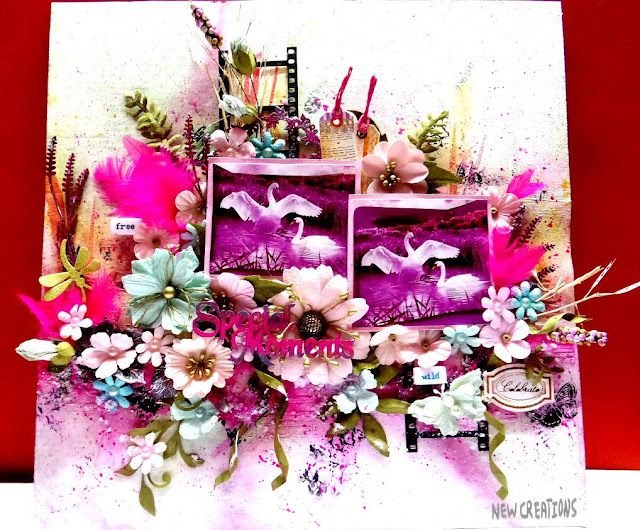 I really got hooked when I found out there was an incredible online paper crafting community! To build up my stash, I explored stores around me. A new shop had opened in Lajpat Nagar, Delhi and I just could not resist going there. My crafting journey has begun from their store with the purchasing of Big shot and lot of craft products. From that point on, I have never looked back. After taking that initial step, I discovered my passion of making art out of paper, stamps, inks and dies. That was 2013 and it has been six years since. I don’t know where I would be now without it!!! My creative inspiration comes from within. I envision an idea and I draw it and then put the pieces together. Sometimes I go to Pinterest to get ideas and then go from there, making them my own. I learnt from my self-experience too. International crafters Jennifer Mcguire Ink, K Werner Designs, Nichol Sophr LLC, Laurel Bassen, Yana Smakula are my ideal and trendsetters! I always look forward to the inspiration and skills I will gain from them. They never cease to amaze me. I have an eclectic style. I love to create ranging from CAS to Mixed Media. In whatever I create, I have a thing for coordination, symmetry & balance. 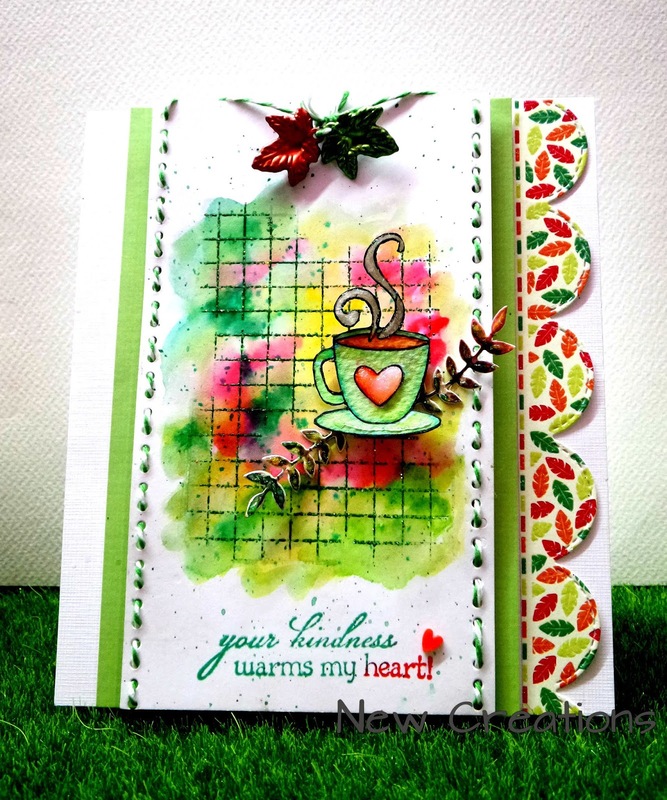 I have been stamping and enjoying a wide variety of crafts. I do love my handmade paper flowers too! My plan for the future is to turn my passion into some sort of business now and expand my card making into notebooks, albums and agendas. All personalized and custom-made. Recently I am designing for Peekaboo Designs and Craftyscrappers and in their Design Team also! In future, I will try to join at an International level too! I am working on some more sketches for stamps, stencils, dies and even chipboards! The more you do, the more confident you will feel & you will soon be trying new techniques that you never dreamed you would. Enjoy yourself. Believe in yourself and never give up. If you truly have a passion, go for it. Everything is about taking baby steps. Just experiment. Don’t pressure yourself with making cards or projects for certain people, just go with the flow & design to your own taste. My motto is slow and steady wins the race. I say this to myself when times get tough. “Welcome Little One”-Baby Girl Album by Prika! Fun and Easy Birthday Cards with Prika! 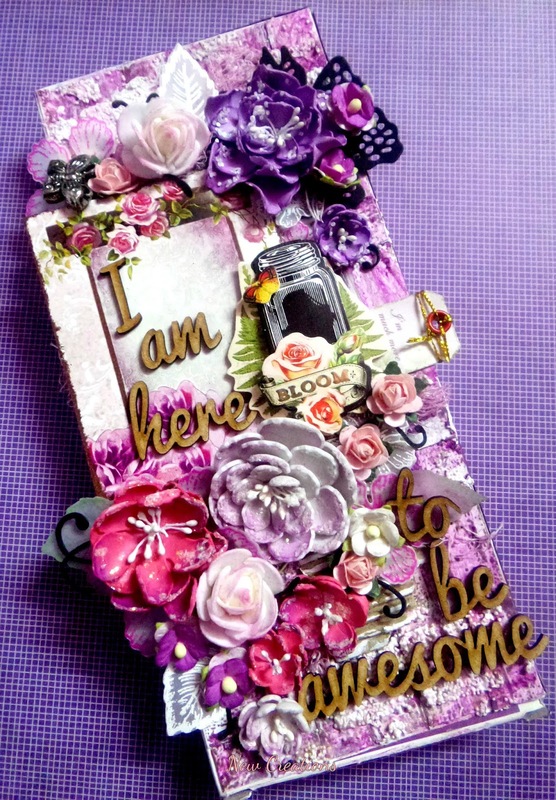 “U Amaze Me”Handmade Card by Madhurya M.